On the 21st (Tue), take in breathtaking views at Los Cahorros, then stroll through ​​Cueva Museo, and then admire the landmark architecture of Generalife. 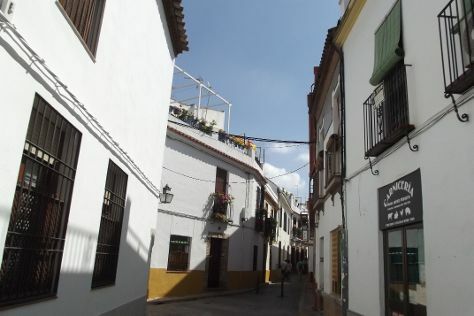 Keep things going the next day: take a stroll through Sacromonte, wander the streets of Albayzin, then contemplate the long history of Mirador de San Nicolas, and finally get curious at Science Park (Parque de las Ciencias). To see traveler tips, maps, ratings, and more tourist information, go to the Granada itinerary maker. New York City, USA to Granada is an approximately 18-hour flight. The time zone difference moving from Eastern Standard Time (EST) to Central European Time (CET) is 6 hours. Plan for a bit warmer temperatures traveling from New York City in March, with highs in Granada at 62°F and lows at 41°F. Cap off your sightseeing on the 22nd (Wed) early enough to travel to Barcelona. Kick off your visit on the 23rd (Thu): pause for some serene contemplation at Barcelona Cathedral, then take a stroll through El Barri Gòtic, then pause for some photo ops at Casa Batlló, and finally see the interesting displays at Casa Milà. To see photos, where to stay, reviews, and other tourist information, refer to the Barcelona sightseeing planner. Getting from Granada to Barcelona by combination of bus and flight takes about 4.5 hours. Other options: take a train; or drive. Traveling from Granada in March, plan for a bit warmer nights in Barcelona, with lows around 47°F. Wrap up your sightseeing on the 24th (Fri) to allow time to travel to Seville. Kick off your visit on the 24th (Fri): admire the natural beauty at Royal Alcázar of Seville and then cross one thing off your bucket list with a skydiving experience. Keep things going the next day: admire the landmark architecture of Seville Cathedral (Catedral de Sevilla), then wander the streets of Barrio Santa Cruz, then delve into the distant past at Archaeological Ensemble of Italica, and finally admire the striking features of Plaza de Espana. For reviews, maps, and tourist information, read Seville trip itinerary builder. You can fly from Barcelona to Seville in 3.5 hours. Other options are to take a train; or drive. In March, plan for daily highs up to 66°F, and evening lows to 45°F. Finish up your sightseeing early on the 25th (Sat) so you can catch the train to Cordoba. 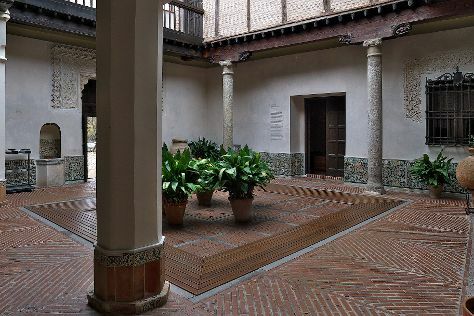 Kick off your visit on the 26th (Sun): admire the masterpieces at Museo Julio Romero De Torres, get engrossed in the history at Museo Arqueologico, then wander the streets of Jewish Quarter (Juderia), and finally steep yourself in history at Alcazar de los Reyes Cristianos. To find reviews, photos, maps, and more tourist information, read Cordoba itinerary builder. Getting from Seville to Cordoba by train takes about an hour. Other options: drive; or take a bus. In March, daily temperatures in Cordoba can reach 67°F, while at night they dip to 45°F. Finish up your sightseeing early on the 26th (Sun) so you can catch the train to Madrid. Museum-lovers will appreciate Museo Nacional del Prado and Museum Sorolla. Get a sense of the local culture at Thyssen-Bornemisza Museum and Gran Via. You'll find plenty of places to visit near Madrid: Archaeological Park Recopolis (in Zorita de los Canes) and Spas & Wellness (in Pastrana). There's much more to do: admire the landmark architecture of Plaza Mayor, get a taste of the local shopping with Barrio de Salamanca, take a stroll through Gay Madrid & the Chueca District, and pause for some serene contemplation at Church of San Isidro. To see maps, other places to visit, photos, and other tourist information, refer to the Madrid trip itinerary maker. Take a train from Cordoba to Madrid in 2 hours. Alternatively, you can drive; or fly. While traveling from Cordoba, expect slightly colder days and about the same nights in Madrid, ranging from highs of 59°F to lows of 41°F. Finish your sightseeing early on the 29th (Wed) so you can take a train to Toledo. Toledo is a World Heritage Site that embodies the complex cultural history of Spain while remaining a forward-moving, modern city. On the 30th (Thu), whizz through the canopy at some of the top local zipline courses and adventure parks, take in the architecture and atmosphere at Catedral Primada, contemplate in the serene atmosphere at El Transito Synagogue and Sephardic Museum, then examine the collection at Museo del Greco, and finally soothe aching muscles at some of the top local wellness centers. Here are some ideas for day two: wander the streets of Plaza de Zocodover, take an in-depth tour of Alcazar - Museo del Ejercito, then pause for some serene contemplation at San Roman Church, then admire the masterpieces at Iglesia de Santo Tomé, and finally examine the collection at Museo Sefardita Di Toledo. To find maps, other places to visit, and tourist information, go to the Toledo vacation trip planner. You can take a train from Madrid to Toledo in an hour. Other options are to drive; or drive. In March, daytime highs in Toledo are 63°F, while nighttime lows are 41°F. Wrap up your sightseeing by early afternoon on the 1st (Sat) to allow time for travel back home.